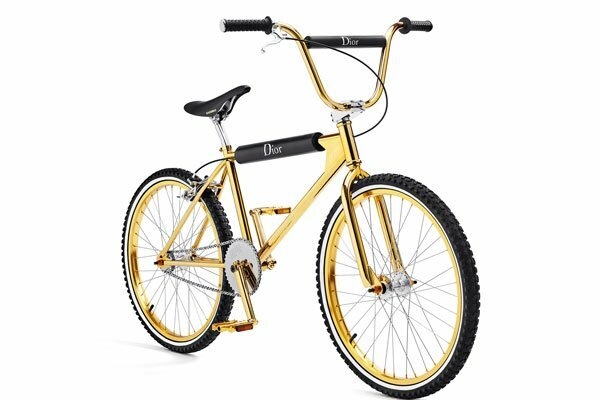 The Kim Jones-directed Dior Homme teamed up with BMX specialist Bogarde to debut this fashion-forward bicycle earlier this year. This is the second of three collaborations between them – the first bike was unveiled just before Christmas last year when Kris Van Assche was still the artistic director at the fashion house. There are distinctive Dior cues on this bike including the bee logo on the side of the handlebar and the logo on the sprocket. With calfskin leather detailing on the frame, and the frame itself sporting a gold finish, this made-in-France two-wheel creation is a stylish piece of kit. The bicycles are numbered and limited to just 100 units. Competitive cycling purists, take note. If you need to channel some Tour de France-levels of energy into your cycling routine, you might as well opt for a bike manufacturer who participates in and has won multiple Tour de France races over the years. This new SLR9 is being touted as the world’s most comfortable and adjustable aero bike – and justifiably so. Thanks to an adjustable IsoSpeed there’s some much needed ‘flex’ added to the seatmast, which absorbs vibrations from the road, making riding this bike for prolonged periods a comfortable proposition. There’s plenty of carbon used in components like the steerer and dropouts to make the bike as lightweight as possible. This is the great outdoors bike you really need if you choose to head to an overnight campsite. Surprisingly, the bike shuns carbon fibre and favours stainless steel instead as the main construction component of its frames. The stainless steel used here though is four to six times stronger than that found on conventional steel bikes and is also significantly lighter – a GTFO weighs just 6kg. It’s a single-speed bike, though you can upgrade it and install gears for an additional fee. The upgrade package also includes a lighting system and handmade frame bags that are exactly what you need when skipping town. Italian design house Pininfarina is better known for its epochal work with carmakers like Ferrari, Alfa Romeo and Maserati. They’ve now teamed up with fellow Italian bike specialist De Rosa to introduce what they’re craftily referring to as the world’s first ‘sport utility bike’. The concept comes from the fact that the bike can be used in two ways. You can either have it with flat handlebars and a comfortable saddle which is the ideal set up when you’re pedalling around town during your daily commute, or you can swap it with drop handlebars and a pared down racing-focussed saddle when you’re switched on to weekend-cycling mode. The ultralight monocoque carbon inner mould frame, 40mm aluminium wheels and robust Shimano eight-speed bicycle drivetrain will be ready for whatever state of mind (and state of bike) you find yourself on any given day.